As a curvy hijabi, it is definitely a challenge to dress modestly but still look stylish. I would like to think I do a pretty good job of covering my bust, but like any normal hijabi, sometimes I fall into a fashion rut where I buy the same iteration or style of clothes. My summer uniform has consisted of maxi dress, cardigan, and wedge heels. I didn’t even notice my fashion rut until my older sister told me that perhaps I should try something different over my maxi dresses. She suggested a blazer. Ah blazers and I have an odd relationship. You see, I have never gotten along well with blazers. Since I am not small framed, when I wear a blazer, it tends to make me look like a hijabi linebacker. Yes, you can just imagine how a hijabi with wider shoulders would look in a cute demure blazer. It is not a good mix. However, after trying a few on, I realized it is not ALL blazers that are terrible, just most. If you wear a blazer that is cropped and cinched at the waist with a maxi skirt or dress, it is actually a cute alternative to the cardigan. I have done a Polyview set of my most figure flattering blazers that are easy on the eyes as well as your wallet. So make sure to try them out and tell me all about it! Working out as a hijabi doesn’t have to be boring. Mix it up! 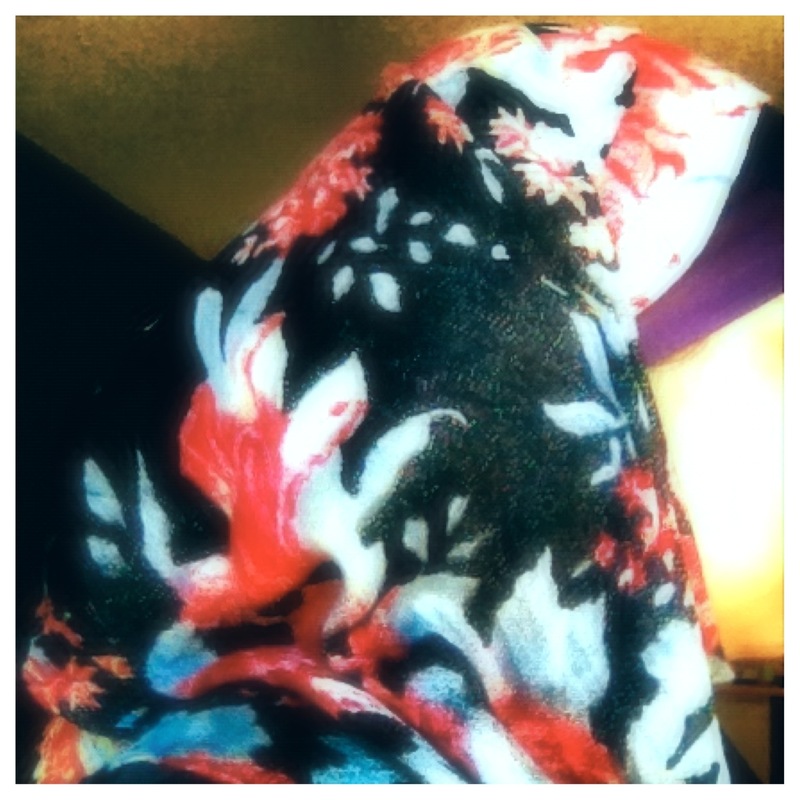 One of my most asked questions as a hijabi is how I manage to stay active with hijab on. In the past, I just improvised a lot. In fact, I still do improvise. With hijabs, I choose a lightweight cotton type so that if I sweat, it doesn’t trap bacteria against my scalp. With pants, I choose loose fit sweats (Puma makes a great one, but I even cheat and use maternity yoga pants which are not as tight as something like Lululemon). How can you not love these gray yoga pants from Old Navy? They are not only cute, but they are a steal too. I also wear long cotton maternity dresses to cover my tushie so I can truly get my workout on. I will warn my yogi hijabis that you have to wear a tucked in shirt for yoga classes though. Lastly, pick shoes that go with your workout. I am a Nia/Zumba type so these Pumas work well for me. If you run a lot (which I also do) make sure to check out New Balance sneakers (or as my hijabis in the UK say, trainers). I always carry extra luxe toiletries, extra hijab pins, flip flops, my makeup bag and a comb in a super cute Puma bag. I actually have the green version, but for this collage, I picked a gray silver. Having cute workout clothes incentivizes me to work out harder. What about you? Are you at a loss on how to transition to spring? Are you also on a tight budget? One easy way to transition to spring is to use pink accents to brighten up your winter neutral pieces. If you have a cute winter cardigan, pair it with an easy breezy maxi skirt and some spring shoes and you are ready to get out and enjoy spring! I am obsessed with all things green all the time (my favorite color is green). It reminds me lush trees, grass, and just life in general. So I was absolutely THRILLED to hear that the color of 2013 is emerald green! It is time to go break out my emerald green pieces now. Embrace texture: Colors like green look fresh in materials like leather and lace. Don’t be afraid to mix it up: Wear it with other bright colors for an unexpected look. I like to pair mine with dark pink. Don’t forget accessories: I love emerald toned jewelry. How pretty would an emerald brooch placed on a white hijab look? Also don’t forget purses, belts and gloves! Don’t put away the mint: Remember all of those lovely flowy mint pieces from last season? Keep them and mix it with darker green pieces. Since they are all in the same color family, you will look polished. As long as you are happy to rock it, then you will look amazing. So wear what you love! There are no rules to fashion, which is why it is so fun. What do you guys think of floral scarves as a nice alternative to somber black? I used to think of babushkas in Queens when I saw floral headscarves, but this look is making me change my mind. What is your take on this hijab trend? Welcome to Hijabi Life! As a Muslim American in social media, I felt like we have a void of Muslim lifestyle blogs. Where do I know how to accessorize my hijabs and where the good halal eats are? On a more serious level, we need a forum to discuss things like Muslim marital issues, raising kids and most importantly, how to be a dignified Muslim in America. I hope you enjoy reading my blog because it’s a love story about you: Muslims living in the U.S.